Gaming and powerful hardware go hand-in-hand. Gaming hardware is big business given the large number of gamers in the world and the propensity of gamers to purchase premium gaming products. 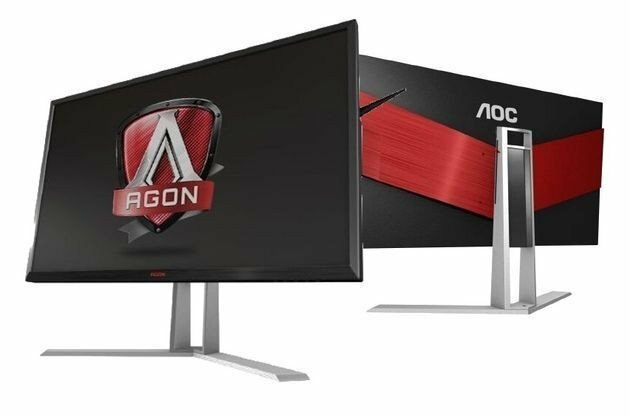 The Taiwanese firm AOC isn’t well-known for gaming and it has therefore launched a premium brand called AGON for its high-end gaming monitors in order to position itself in the market.AOC just launched ten new AGON branded monitors targeted at gamers during a launch event in Beijing. The goal according to AOC is to “provide gamers with the most versatile gaming experience” possible. Size ranging from 24-inch to 35-inch ultra-wide. Resolution in Full-HD or 4K. Display ratio of 16:9 and 21:9. Some of the monitors will be curved with Flicker-free technology. The first models to hit markets include AG322FCX, AG271QX, AG271QG and 2460VQ6. AOC has announced that AG271QX will be the first monitor out of the door. We have no information regarding an international roll-out except that the first models will be available in Europe in June. It’s likely that the monitors will carry a hefty price tag. For example, the price of the 27-inch AGON AG271QX is set to €599. More information about the new brand AGON is available at AOC Gaming.